Mitsubishi Electric designs, manufactures, installs and maintains a full range of premium substation systems and equipment for electric utilities worldwide. 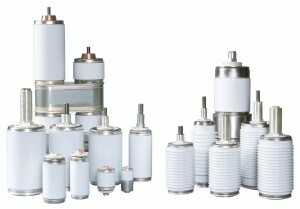 The company also supplies primary components and spare parts from its manufacturing facilities around the world, and complementary products from vendors chosen through a rigorous pre-qualification process. Mitsubishi Electric has been a leader in the development, design and production of high-performance power system equipment and power electronics-based systems for many years. As long ago as 1968 Mitsubishi Electric commissioned its first Gas Insulated Substation (GIS) and since that time has continued to develop this range of equipment. 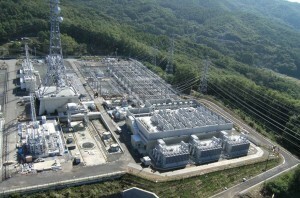 In 1976 Mitsubishi Electric completed the world’s first 550kV full GIS substation, and a 1100kV GIS substation was energized in 1994. The company’s Voltage-Sourced Converter (VSC)-based High-Voltage Direct Current (HVDC) systems use the latest Modular Multi-Level Converter (MMC) configurations. These systems also feature the most reliable Insulated-Gate Bipolar Transistors (IGBTs). 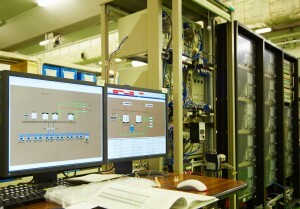 Mitsubishi Electric manufactures those components, assembles them into sub-modules and converter towers, and tests them to meet IEC 62501 and other requirements. Mitsubishi Electric Corporation is based in Tokyo, Japan with manufacturing facilities in various locations throughout Japan. Mitsubishi Electric Europe, Power Systems Group is based in Croydon, UK and provides engineering and project management services for the UK and European market. It also has a manufacturing facility in Milton Keynes for transmission level protection and control solutions. 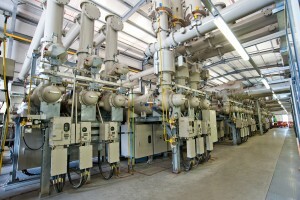 Details of other facilities located around the world can be found on the Mitsubishi Electric global site.